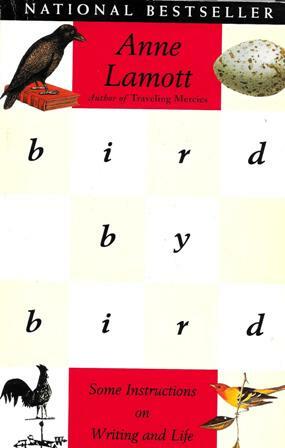 Anne Lamott’s classic book: Bird by Bird—Some Instructions on Writing and Life, although not specifically about fantasy fiction writing, does address, among many other wondrous things, the art of Wool-Gathering. It would be wise, I thought, to learn from another master writer, like Anne Lamott, the techniques of precisely how to beginWool-Gathering—forthwith. Since Stephan King taught me to trust my inner instincts, to lean heavily on my intuition, and to trust my inner sense of things, I realized now was my opportunity to learn the art ofWool-Gathering. The term Wool-Gathering captured my imagination and I knew it was for me. I began immediately. I moved my desk in front of my double window in my room and arranged my laptop just so to allow me to gaze out of my window. Outside my window is a span of green grass that has yet to turn brown with the coming fall season and beyond the grassy plain is a stand of evergreen Arbors that remind me of church steeples. Near my window are two Rose bushes, mostly bare of leaves and roses, but still very much alive. At least the Gray Tufted Titmouse, the Blue-Gray Gnatcatcher, and the Brown-Headed Nuthatch think so. They flit from bare branch to branch obviously finding things to eat that I can’t see. They aren’t the only ones though. On the grass that is just beginning to be covered with fallen leaves are gray squirrels digging little holes looking for hidden acorns and a little beyond them are a few more gray squirrels diggings holes to hide their winter acorn provisions. I wonder if this is wise, though. As surely, the hunting gray squirrels must just be fettering out the provisions just hidden by the enterprising gray squirrels. Chipmunks too, dash around madly, as if crazed, looking for, perhaps, something they have lost? Beyond the stand of Arbors, there is a house with two children and their friends playing outside in their backyard. I watch them. I wonder what they are playing and saying to each other as they run back and forth hiding and seeking. I then find myself daydreaming about this intriguing life and how the characters in my book would act and react to scenes such as I see before me as I gaze out from my window into a world that does not know I am Wool-Gathering. Previous Post The Blogger Appreciation Award! Thank you for another excellent and evocative post! Sometimes I think the older I get the more I forget how to do that — at least creatively. But I may just need a change of scene… Lovely post. Anne Lamott is the only author I haven’t read when it comes to writing. My favorites are Julia Cameron and Natalie Goldberg.